Manufacturer and distributor of health products made from natural latex. 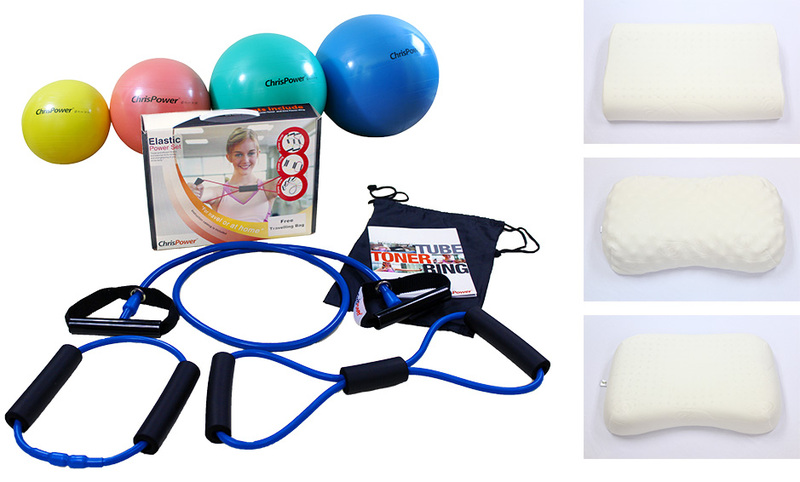 They provide products for a wide range usages from medical to exercise purposes. To become the world’s top exporter of natural latex products and continue to develop even more new products that satisfy customer needs. : They have manufactured products with highly advanced technology, as well as expanding new product lines based on research of customer behavior and also focusing on skill development for staff. United States, Germany, Sweden, Belgium, Australia, Japan, Hong Kong, Korea, China, Taiwan. - To increase more consumers seeking lifestyle products besides those for medical purposes. - To be Made In Thailand products accepted on the international stage. - To be a sponsor for various kinds of sports activities, such as supporting Pattani FC (one of three southern Thai provinces) as well as supporting Thai tennis players. To manufacture trusted, international standard quality products from Thailand for consumers from many countries. 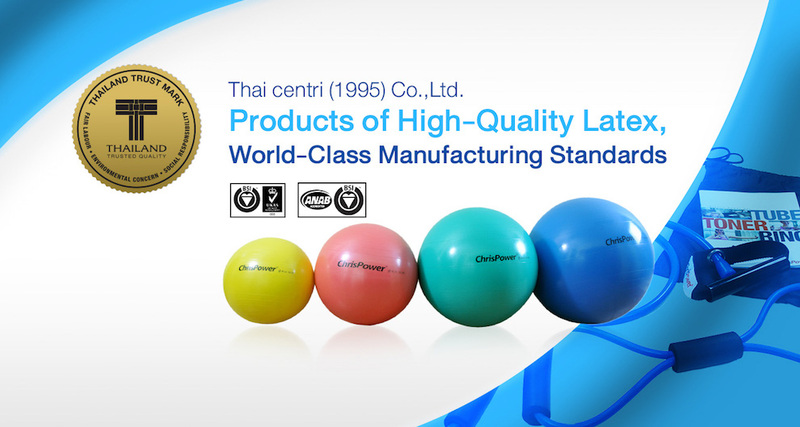 Founded on 1995, Thai Centri started the business by utilizing know-how of latex tubing production from Sweden. At the beginning, production focused mainly on manufacturing medical equipment for hospitals such as latex tubes for intravenous saline solution drips, urine bags, teeth bands for orthodontics, etc. The company has be-come one of the leaders in producing and exporting a wide range of natural latex products including tubing, sheets, and dip molded products. Thai Centri also offers natural latex products to support other usages in thera-py, laboratories, hair dressing as well as workout equipment. Thai Centri has implemented research and development (R&D) in order to seek new solutions to enhancing the quality of natural latex products. The company studied their customer’s lifestyles closely to find a way to add natu-ral latex as a substitute material since latex rubber can be produced in Thailand and the industry can potentially give Thailand recognition in the world market. Keep the Original Strength. Introduce More Products. 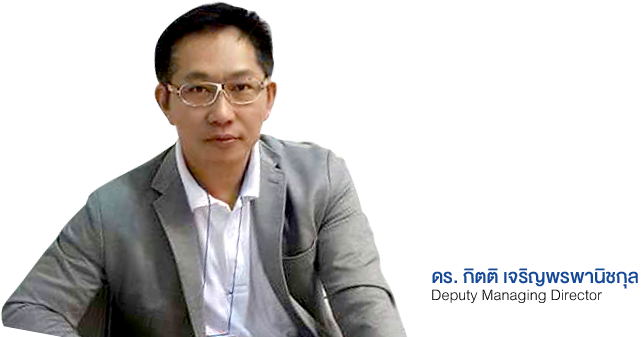 Since taking on the challenge of business management, Mr. Kitti Charoenphonpanichkul, Deputy Managing Di-rector, works hard to retain the company’s well-known high standard of production, and new product strategies. Besides manufacturing for medical and sporting purposes, Thai Centri also expands its product lines to include 100% natural latex foam pillows and mattresses, as well as manufactures sporting gear for the CHRISPOWER brand. Thai Centri has broadened its target groups to include those who are require muscle rehabilitation programs, and people who want to strengthen their whole body and muscular strength. Apart from high quality, product design is also a key factor. Thai Centri studies customers needs based on sport science principles. The study includes laboratory research, working with parties that provide first-hand services to the users such as gym owners and top sport associations, and testing on end users in order to ensure functionality of the products. Thai Centri also took this opportunity to forge a stable partnership network with sport clubs and gym entrepreneurs that organize their business based on the global trends. These trends usually include replac-ing dumbbells with lifting handles, exercise balls for yoga, and rubber mats. “Our goal is not just to sell the prod-ucts, we provide knowledge to the consumers and become an alternative choice for them. If they find our products meet their expectations, they will become our customers”, added Mr. Kitti. As Thai Centri produce and export natural latex products, to ensure the quality, certified manufacturing standards by international organizations is crucial. Thai Centri receives many certifications including the following: A guaran-tee by FDA (Food and Drug Administration) from the USA as a proof of nontoxic products, ISO9001:2008 and ISO13485 certified from the UK for products in European and the USA markets, qualification from BSI: British Standards Institution, makes products and services imported to UK trusted for quality and manufacturing stand-ards, and accredited by ECO and LGA standards from Germany for natural latex foam pillows and mattresses. Likewise, receiving the Thailand Trust Mark (T Mark), symbol of trusted quality, gives confidence to customers for high standards and trusted qualty products which conform to business ethnics without any compromise on raw material quality. Thai Centri keeps on developing their potential while preserving environment. To successfully increase customers, Thai Centri has researched market changes and consumer trends by survey-ing overseas markets attending international trade fairs and sporting events such as the SEA Games in Singapore and also collaborates with the government to educate people in Asian countries on how to exercise with different equipment , this is to promote products from the company to be more recognized. We have manufactured products with highly advanced technology, as well as expanding new product lines based on research of customer behavior and also focusing on skill development for staff. Receiving the Thailand Trust Mark (T Mark), symbol of trusted quality, gives confidence to customers for high standards and trusted qualty products which conform to business ethnics without any compromise on raw material quality. Thai Centri keeps on developing their potential while preserving environment.